Sometimes official ATO tax calculator is too complicated when you want just quickly run various scenarios and find out your salary after tax, whether it's your current payslip, pay increase or a new job offer. This simplified ATO Tax Calculator will calculate your annual, monthly, fortnightly and weekly salary after PAYG tax deductions. Please enter your salary into the "Annual Salary" field and click "Calculate". Updated with 2018-2019 ATO Tax rates! IMPORTANT: Superannuation - Are You Giving Away A Porsche? 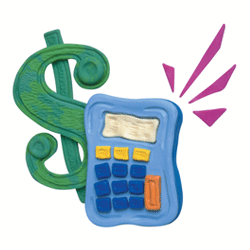 Our Tax Calculator uses exact ATO formulas when calculating your salary after income tax. ATO tax withheld calculator or tax tables provided by the Australian Taxation Office (ATO), which your employer uses to calculate PAYG tax, rounds your income and taxes to the nearest whole figure, hence you may have some discrepancies with your actual pay on your payslip. Usually it's only a couple of dollars per month or fortnight, but still isn't ideal. Here you get CORRECT calculations what your salary and taxes should be. However any overpaid taxes will be returned to you when you do your tax return at the end of financial year. Do you know you can compare and find cheapest Health Insurance on government website? If your income is above a certain threshold ($90,000 for singles or $180,000 for couples), you should consider buying private hospital cover, otherwise you need to pay the Medicare Levy Surcharge (MLS). The surcharge is calculated at the rate of 1% to 1.5% of your income for Medicare Levy Surcharge purposes.This is in addition to the Medicare Levy of 2%, which is paid by most Australian taxpayers. This calculator does not include any Medicare Levy Surcharges and assumes you have private health insurance. Do you know you can compare TOP-10 income protection companies and get extra discount? Your most valuable asset is your ability to earn an income that will allow you to maintain your lifestyle, therefore it makes sense to protect it. Income protection insurance provides a replacement income of up to 75% of your current income if you are unable to work due to illness or injury. All Health Insurance premiums increased in April. How much your Health Insurance premiums increased? Want to put this tax calculator on your website or blog? Contact us. If your pay is quoted as "a package" in your employment contract, i.e. includes superannuation, our pay calculator is the only calculator in Australia that recalculates gross salary. That means you know what's your actual salary, superannuation and taxes are. Of course you can also use this calculator as a superannuation calculator to work out how much your employer should be paying into your Super account. If you are non-resident for tax purposes in Australia, please tick "Non-resident" and tax calculator will use non-resident tax rates. If you're repaying HELP/HECS debt, tick appropriate box and calculator will show you what's your HELP loan repayments will be. Please note, the above ATO tax rates do not include the Medicare levy which increased from 1.5% to 2% from July 1, 2014. Have or planning to get a payday loan? Make sure you are not paying more than you should.